Join Us for an In-Depth Blueberry School in March! We’re partnering with the experts art Cornell CCE to bring you the region’s first-ever blueberry intensive, an in-depth look at blueberry growing techniques, pests and diseases, marketing and other business topics, and an afternoon demonstration on working farms. Mark your calendar for March 5 in Ellicottville in Cattaraugus County, and March 14 in Millbrook in Duchess County. Here are the complete agendas for both workshops; scroll down to view full details. Dr. Cox will outline the major diseases that blueberry growers in Western NY need to be aware of. He’ll discuss the most successful management strategies, including conventional fungicide programs and organically appropriate approaches. Farm to school, value added, nutraceuticals, organic wholesale—market options are plentiful for blueberries. 11:30 am–12:15 pm: Berry crops profitability tool—knowledge is power! Examining existing blueberries in the early season is the first thing to do for pest control. Looking for scale, mummyberry apothecia, and gall’s while plants are just breaking dormancy is crucial. Weed populations will begin to be evident as well. Herbicides are often used in the early pre-bud break time period for best results. Adding mulch should be done in the spring. This hands-on opportunity will provide continued discussion of the 2:30 afternoon session. We’ll address the differences in cultivars and pruning approaches, which will become more obvious as we look at plants. The use of a pneumatic pruner will be demonstrated, as well as more traditional tools. Sign up for the Ellicottville workshop today! Farm to school, value added, nutraceuticals, organic wholesale–market options are plentiful for blueberries. Understanding your expenses and how they compare to local averages and external competitors will help you strategize for future success. Bring some of your own data and learn how to utilize this brand new tool to your advantage. Growers are encouraged to bring a laptop to the class. Sign up for the Millbrook workshop today! For questions about programming, contact: Esther Kibbe, ejp9@cornell.edu; or Laura McDermott, 518-791-5038, lgm4@cornell.edu. For questions about registration, contact Karen Wilson, nysbga@gmail.com. For questions the day of the event, contact Tamara Bacho, 716-699-2377, tsb48@cornell.edu. Are Superfruits Right for Your Farm? You’ve probably noticed an increase in customer demand for superfruits—fruits that are chock-full of nutrients and are known to have a wide range of health benefits, from improving vision to protecting the body against cancer and other diseases. Luckily for berry growers, strawberries, blueberries, blackberries, and raspberries are all counted among the superfruit category. But there are a few other berries you might want to consider, as reported in Growing Produce. Elderberry (Sambucus canadensis; Sambucus nigra). A favorite folk medicine of the original US settlers and pioneers, elderberries are high in antioxidants and are thought to be valuable for supporting the immune system against colds, flus, and other infections. Studies of elderberry have also shown positive effects on heart health, antidepressant properties, and protection against UV radiation. Honeyberry (Lonicera caerulea). Also known as haskap, this berry is a great choice for the Northeast, with its strong preference for colder climates. Its tart flavor is best combined with other berries or natural sweeteners. Honeyberry is rich in flavonoids, which help reduce inflammation and improve eyesight, and may have anticancer action. Goji berry (Lycium barbarum). Long prized in China as a medicinal food, the goji berry grows well in multiple climates, including that of the Northeast. High in fiber, protein, and a range of vitamins and minerals, goji is being studied for its antiaging and anticancer benefits, as well as its protection against diabetes and heart disease. Many of these berries have been making appearances in farmers’ markets and gourmet stores in jams, wines, syrups, and dried forms; these could prove to be important income generators in the future, so give them some thought if you’re planning to expand your crops. The New York State Berry Growers Association and Cornell Cooperative Extension have partnered on a survey to better understand the current status and future growth potential of New York’s berry industry, as well as to identify the best approaches to support and develop resources to help berry growers. 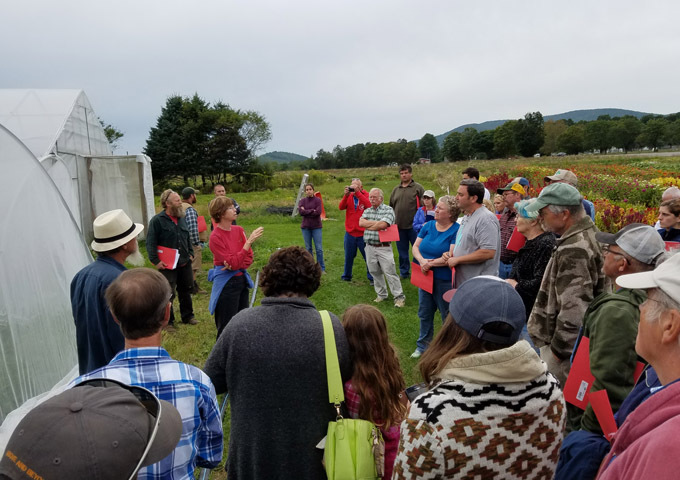 Your responses to this brief survey will provide Cornell and the NYSBGA with critical information that will allow us to to obtain more funding from the state for research and extension efforts. We need input from all berry growers, regardless of berry type or size of plantings. Click here to take part in this important survey. If you’ve been growing berries for more than a couple of years, you’re no doubt aware that good growing and sanitation practices—such as keeping an open canopy, weeding regularly, rotating insecticides, harvesting frequently, and removing overripe fruit—are key to success in managing spotted wing drosophila (SWD). But maybe you’re not exactly sure just what makes this invasive pest tick, and how to educate staff about it. To help growers better understand and combat the threat posed by SWD, a national team of researchers led by the University of Georgia, and funded by the USDA National Institute of Food and Agricultural Organic Agriculture Research and Extension Initiative (OREI), has put together a new guide to organic management of SWD, Management Recommendations for SWD in Organic Berry Crops. New Fruit and Vegetable Conference Is Coming to Albany! The Eastern New York Commercial Horticulture Program (ENYCHP), a regional program of Cornell Cooperative Extension, is excited to announce its first-ever Eastern New York Fruit and Vegetable Conference, February 20 and 21, 2018 at the Desmond Conference Center in Albany. The event features two days of programing on tree fruit, vegetable, and berry production, as well as agricultural business management. For apple growers—disease management updates, presentations on fire blight management, current rootstock technologies, and a look at new varieties from the Cornell Apple Breeding Program. For berry growers—integrating low tunnels into day neutral strawberry production, spotted wing drosophila (SWD) control, and soil management. 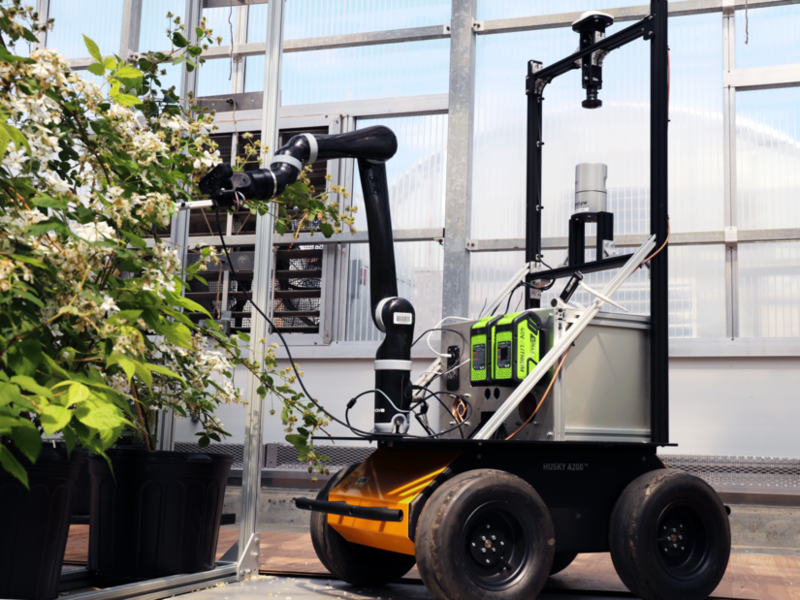 For vegetable growers—new tools for bird control, utilizing biocontrols, managing sweet corn pests, and precision water and nutrient systems. For business managers—resources for farmers with a Latino workforce, media relations on the farm, and CSAs in Eastern New York. This is just a sampling of the topics that will be covered over the two-day conference. A large industry trade show will also take place throughout the event. All commercial growers are invited to attend, from beginning farmers, to farming veterans, organic farmers, and commercial growers! DEC credits will be available. For the full agenda and registration information, visit the ENYCHP. Preregister by February 13 for a discounted rate!